Combination calcium (Ca), magnesium (Mg) and iron (Fe) additives are used to help overcome or prevent the deficiency of these elements. The deficiency of these 3 elements can cause common symptoms such as blossom-end-rot (death of the end part of fruit), upward leaf curl, withered flower/fruit set, interveinal chlorosis and the death of terminal buds and root tips. If the above mentioned symptoms are present, be sure to check pH and humidity levels. Excessive pH can cause both calcium and iron to become insoluble. 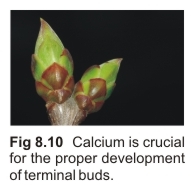 Excessive humidity restricts the distribution (“translocation”) of nutrients throughout the plant and is a common cause of calcium deficiency. Avoid using this additive with excessively hard make-up water because it can cause the build-up of white "scale". This can result in dripper blockage and a reduction in the amount of available sulfate - an essential plant nutrient. 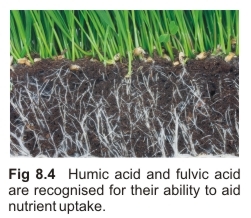 Humic acid (HA) is derived from leonardite, a coal like material formed via the decomposition of plant matter. This is often the cause of color in surface waters. 1. Auxins: These produce several growth responses in plants including the formation of adventitious roots, promotion of apical dominance, flower formation and fruit-set and growth. Common examples of auxins include NAA (naphthyl-acetic-acid) and IBA (indole-butyric-acid). These are used to stimulate root growth in cuttings. 2. Gibberellins: These are used to stimulate cell division and elongation. 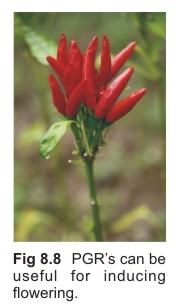 They break seed dormancy and induce flowering. Gibberellic acid, for example, can be used to influence the timing of flowering, flower gender and flower size. 3. Cytokinins: These can be useful for stimulating cell division, inducing shoots and delaying aging and death (senescence). Benzyl-amino-purine (BA6) is a common cytokinin used for inducing side branching. This is useful for the development of short, bushy plants. 4. Ethylene: Used for promoting ripening, inducing leaf drop (abscission) and senescence. Ethylene is commonly used to ripen fruit in preparation for sale. 5. Abscisic Acid (ABA): This is a plant growth inhibitor. It causes abscission of leaves, fruits and flowers and causes stomata to close. During periods of drought when stomata are closed, high concentrations of ABA are found in leaf guard cells. 1. 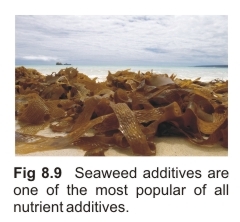 Acts as a soil conditioner to increase the cation exchange capacity (CEC) of soils and aid nutrient uptake. 2. Improves water holding capacity of soils. 3. Promotes the growth of beneficial bacteria.